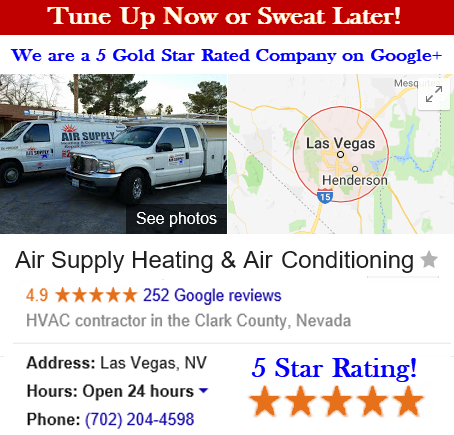 Air Supply Heating and Air Conditioning is fully certified, licensed, and insured to supply commercial businesses and residential homes in the Greater Las Vegas, NV community. Our technicians are more than qualified to perform any of the services we provide with their advanced training, field experience, and remarkable skills. 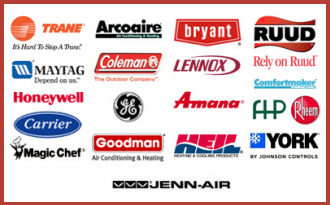 Air Supply Heating and Air Conditioning team delivers a phenomenal experience with every service we conduct, by applying friendly customer service, exceptional work ethics, high moral standards, and extraordinary workmanship. 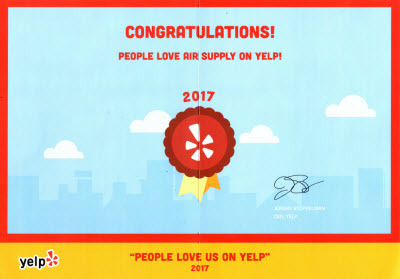 At Air Supply Heating and Air Conditioning we pride ourselves on utilizing premium grade products and equipment to ensure maximum results. Air Supply Heating and Air Conditioning products spotlight is the York Affinity Series YXH Heat Pump and is readily available for our commercial and residential customers of the Las Vegas, Nevada Valley. The York Affinity Series YXH Heat Pump has and Energy Star qualifying efficiency rating of up to 18 SEER (Seasonal Energy Efficiency Ratio) and 10.0 HSPF (Heating Seasonal Performance Factor). Having a York Affinity Series YXH Heat Pump has years of dependability with premium quality and the impressive warranties attached say it all. With a two-stage compressor, the York Affinity Series YXH Heat Pump can offer more performance than older models. The York Affinity Series YXH Heat Pump is equipped with QuietDrive™ system to allow the benefits of maximum comfort with quiet function. Additionally, the York Affinity Series YXH Heat Pump has automotive grade powder paint that extends years of exterior corrosion free quality. The York Affinity Series YXH Heat Pump in conjunction with the Affinity™ Residential Communicating Control is recognized as the most efficient of ENERGY STAR® for 2016. The York Affinity Series YXH Heat Pump has our premium split system heat pump technology to increase your comfort level. With so many benefits Las Vegas, NV homes can reap from the York Affinity Series YXH Heat Pump, it is well worth the investment. –	For cooling and heating level adjustments to match the precise degree of comfort ideal, the two-stage compressor is a standard feature. –	Swept wing fan, sound enclosure, and composite base comprise Advanced QuietDrive™ Sound Reduction system. –	Ultimate comfort with complete control. –	To provide more comfort for less operating cost; the high energy efficiency up to 18 SEER is ideal, which cut electricity costs nearly 44% in comparison to 10 SEER models. –	To minimize electricity consumption, two-stage compressor is added. –	Compatible with the Affinity™ Wi-Fi Residential Communicating Control for superior control, promoting even temperatures and save energy. –	If any abnormalities arise there is a factory installed high and low pressure switches. –	Permanently lubricated fan motor bearings to minimize maintenance. –	Exterior finish is 33% more durable than traditional powder-paint finish to endure weather conditions. –	Complete defrost and energy efficient operation is assured by demand frost feature. –	While still providing easy removal and re-assembly as well as the ultimate durability and protection, the unit is installed with two-piece extruded louver coil guard. 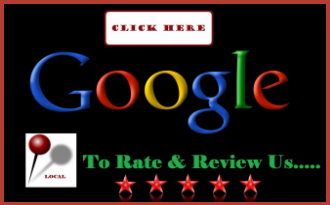 –	Ask about the fine warranties offered. Air Supply Heating and Air Conditioning is proud to offer the York Affinity Series YXH Heat Pump, a quality product for our customers throughout the Greater Las Vegas, Nevada area, as well as other such quality products. Call us today to get your own York Affinity Series YXH Heat Pump and installation service!